When we think of West End or Broadway entertainment, we think principally of musicals alongside comedies, straight plays, opera, ballet and cinema. An Arts Council report on Circus noted that, while the artform ‘is flourishing in Canada, Russia, China, France, Belgium and … Australia’, in Britain ‘it has never been seen as occupying the same place in the hierarchy of art as other artforms, by either audiences or the cultural establishment’. Audiences ‘assume it is an artform for children’ and ‘also means to some the poor quality work they have come across at music festivals and in some street work’. But circuses were once a major feature of the London entertainment scene – and with some signs of life from the genre, it could become significant again. Whilst circuses were a popular entertainment in Roman times, it was Philip Astley who created the genre in the form we would recognise today. In 1768 he built an amphitheatre for equestrian tricks in Lambeth (London). It was not the acts individually, but the merging into one variety production of horse-riding, acrobats and clowns which launched the circus in the form which would prevail until today. 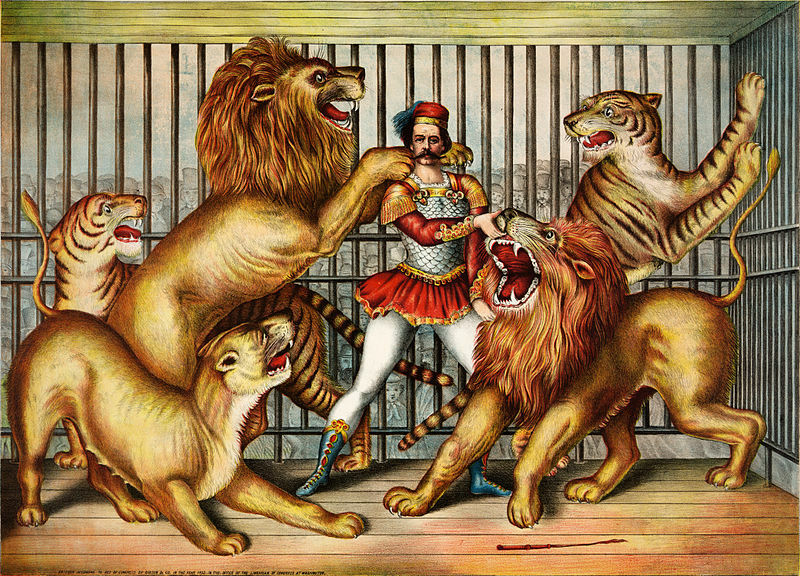 In the late Victorian era, Circus was a popular artform, in fierce competition with the explosion of Music Hall. In order to maintain the ability to mount increasingly spectacular shows, a great many purpose-built Hippodromes were constructed across the United Kingdom. “Shows like ‘Siberia’ featured ice-skating and horse-riding, and a finale in which up to forty polar bears roamed the arena.”, noted Peter Longman in his history of the Hippodromes. Hengler’s Grand Cirque was situated on the site of the present day London Palladium from 1871 until condemned as unsafe by the Metropolitan Board of Works just a few years later. The Grand Cirque, with a capacity of 1,090 was built by J T Robinson, whose daughter married Frank Matcham. Matcham worked in Robinson’s practice before becoming the preeminent theatrical architect of his age, designing 78 theatres and rebuilding a similar number. Matcham went on to build the London Hippodrome in 1900 for Edward Moss at a monumental cost of £250,000, with a proscenium arch and an aquatic arena of 100,000 gallon capacity used to float boats. The “audience sat on three levels and around three-quarters of a circular circus ring, with a proscenium archflanked by stage boxes occupying most of the other quarter. During the performance metal caging protected the audiences from the animals, but at the climax of the show, the caging would sink from view and the circus rink would drop, to reveal a huge water tank covering the area of the circus ring. The stage curtains would open to reveal a jungle scene, with an enormous waterfall most of the height of the proscenium arch. At the top of it elephants would appear and then slide down into the tank. Audiences were warned about the danger of getting wet, although fortunately glass screens had come up to replace the metal caging”, notes Longman. 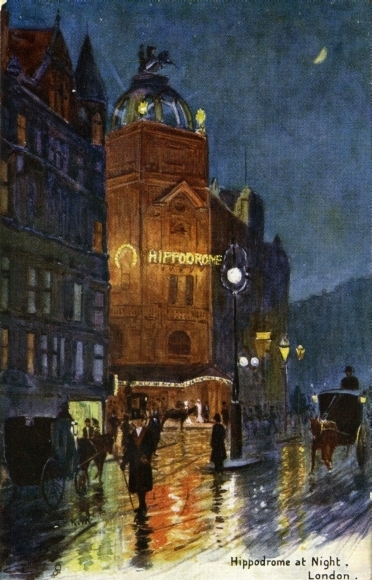 Its success was short-lived and the Hippodrome was converted to a pure Music Hall in 1909. Outside London, Hippodromes were built in Doncaster, Scarborough, Manchester, Liverpool, Glasgow, Brighton and many other cities. However, like the London Hippodrome, they were almost all converted to other uses within a decade or two. The only remaining such venue in the UK is in Great Yarmouth, where summer seasons of circus acts continue to this day. From its heyday, decline was rapid, in part due to concerns around animal cruelty, but also due to the failure of circus to reinvent itself in the way that West End theatre managed to do. Touring Big Top circuses have largely suffered the same fate. While there are still around a dozen traditional circuses touring in the UK, these are considerably scaled-down from the 1950s with Big Top capacities of around 1,000 compared to the 7,000 in the post-war era, according to Martin Burton of Zippos Circus.. In 2013, the UK Government passed legislation banning all wild animals from circuses from 2015. In Britain today, many people probably view circus the down-at-heel cousin of theatre, with tired productions touring in tawdry big-tops, playing to ever-decreasing audiences. The Emerald City for circus is, of course, Las Vegas, where conventional logic is laid on its head. The self-styled entertainment capital of the world features no straight theatre, a small number of large musical imports from Broadway, some burlesque, some comedy, plenty of pop and rock act residences and gigs…. And a lot of circus. In fixed locations. Just as in Victorian London. This manifests itself most obviously at the Circus Circus hotel/casino. The 9th largest hotel (as of 2013) in Las Vegas, at the northern end of The Strip, opened in 1968 with 3,773 rooms and a gargantuan Lucky the Clown sign at the hotel’s front. It features the largest Big Top in the world and was featured in 1971’s Diamonds Are Forever. Circus-themed entertainment abounds, with clowns, a foot juggler, trapeze artists and roller-skating acts among the attractions to lure gamblers to the hotel. 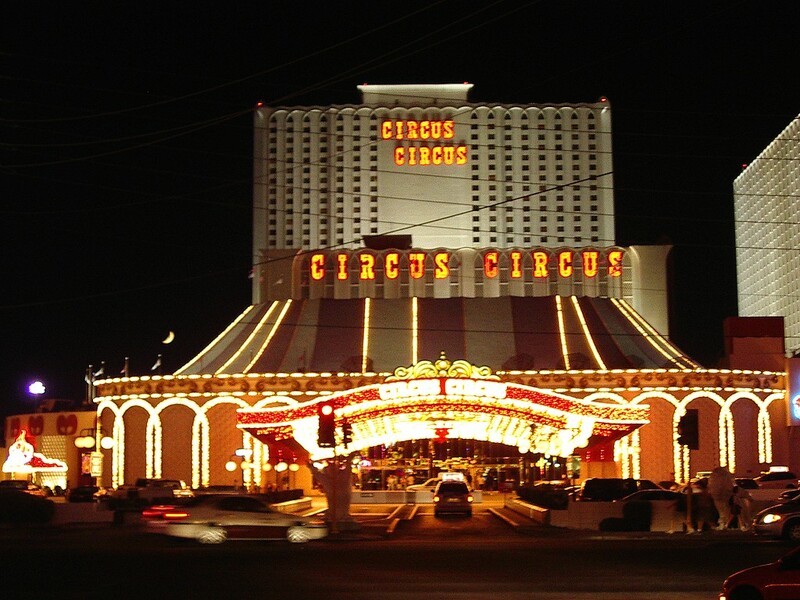 While clearly having established a niche as a family-friendly resort, Circus Circus is not to everyone’s taste: Hunter S Thompson in Fear And Loathing In Las Vegas, wrote ‘The Circus Circus is what the whole hep world would be doing Saturday night if the Nazis had won the war. This is the Sixth Reich. The ground floor is full of gambling tables, like all the other casinos… but the place is about four stories high, in the style of a circus tent, and all manner of strange County Fair / Polish Carnival madness is going on up in this space’. What Thompson made of the arrival of the Canadian Guy Laliberte’s arrival in Las Vegas is not known. Cirque Du Soleil runs 8 permanent shows in Sin City, with a combined tenure of 69 years. Over 9,000 people see a Cirque performance every night – 5% of the city’s visitors. Cirque is a huge player in the Vegas entertainment market. Cirque Du Soleil is big business. 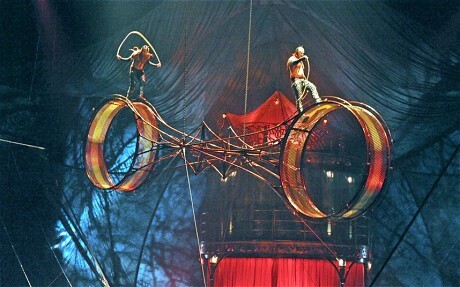 By 2004, Cirque had built up a $600 million per annum revenue model. By 2010, revenues reached $850 million, with profits of $250 million. Businessweek’s analysis of Cirque’s business model is insightful. It reported that Ka required a staggering $165 million investment to open in 2004 – which exceeds the combined investment behind the 36 Broadway shows which opened in the same year. Whilst the lion’s share ($135 million) of this was the Ka theatre, built by MGM Mirage for the MGM Grand’s 1,900 seat theatre, which arguably distorts the picture (Broadway shows all rent existing theatres), the investments in costumes and other production costs were $30 million, significantly above almost any Broadway show. There is a business case behind the investment. Firstly, the investment is leveraged over a greater number of performances. Vegas shows perform twice-nightly, five days a week for a total of ten performances per week – 25% more than the typical eight performances on Broadway. Ticket yields are attractive for the producers: prices are in the range $109-180 (for ‘O’) compared to $62-$202 for Wicked on Broadway. 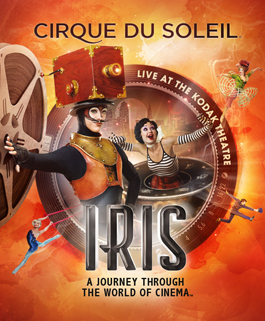 Cirque generates around 80% of its revenue from ticket sales, with the remainder coming from merchandise. The host casino benefits from ancillary spend by guests. Only 20% of the show’s audience typically stays at the hotel, but nonetheless, showgoers ‘drop an average of $30 apiece on dinner or drinks at the property’ according to Businessweek estimates. MGM estimates that, based on ticket and merchandise income alone, it registers a return on total investment in the mid-teens, only slightly below the 18% return on casinos overall. Kenneth Feld, owner of Ringling Bros and Barnum & Bailey, commented ‘if you think about spending $165 million on a show that seats 1,900 people, the economics are staggering’. Not only the acrobatics can take your breath away. While Cirque has enjoyed undoubted success around the globe with a suite of touring productions, success in replicating the Vegas model of long-term residences in other major cities has proved elusive. Efforts to develop a show for the Broadway market failed, with Banana Shpeel receiving poor reviews and Zarkana making its home in Radio City Music Hall for only a short run. Ironically, Zarkana has now found success and a long term home in, you guessed it, Vegas, where it now plays 10 shows a week at the Aria resort. 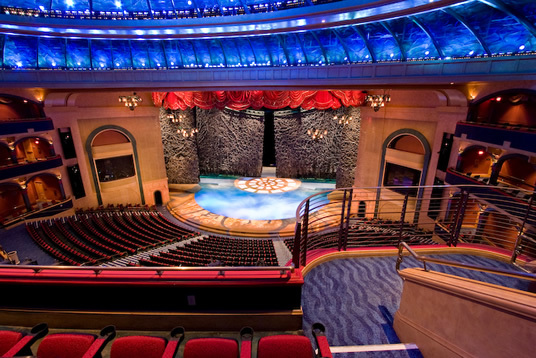 A show for the Los Angeles market, Iris, exploring the history of cinema was developed with investment of $100 million for the cavernous 3,332 seat Dolby theatre. It opened in September 2011 but lasted only 16 months and closed in January 2013 due to disappointing box office sales. The only Western city apart from Las Vegas to host a long-term success for Cirque is Orlando, where La Nouba has played since 1998. Macau and Tokyo in Asia host permanent shows. Why is it that Circus is so successful in Las Vegas relative to Broadway or the West End? Circus tends to be language-neutral, given its largely speech-free nature. Broadway musicals and plays typically require English to comprehend the plot and lyrics or script. Whilst a theatre-goer with no English might derive some entertainment from watching The Phantom Of The Opera as a spectacle or for the music alone, it would surely diminish the experience. Perhaps visitor demographics can shed light on the subject. According to the Broadway League, 23% of visitors in 2013 were foreign. The Society of London Theatre’s analysis for 2003 established that 27% of its visitors were foreign tourists – albeit that 17% of those were from North America and therefore are likely to speak English. Only 11% were from Europe or other continents. The Las Vegas Visitor Profile Study found that 20% of 2013 visitors were non-American. On the face of it, the proportions of foreign visitors does not indicate any significant difference around language comprehension likely to explain Circus’ success in Las Vegas. Whilst Las Vegas is likely to have a higher proportion of Asian visitors than New York and London due to the popularity of gambling in Asia and the resulting popularity of Las Vegas as a destination, it remains the fact that around three quarters of visitors to Broadway, the West End and Las Vegas are of domestic origin. On that basis, the answer is likely to be that visitors to Las Vegas seek a different, presumably less mentally-taxing, form of entertainment. The failure of Cirque to crack other cities may yet change. Perhaps the poor critical response to Banana Shpeel and the huge number of seats in the Dolby Theatre (3,332) and Radio City Music Hall (6,000) distort the picture – O and Ka have capacities of 1,800 and 1,950 respectively. Is there any reason why a Cirque show could not perform in London or New York in an appropriate venue with, say 1,500 seats? Indeed, there have been recent circus residencies in London. La Clique, a cabaret and variety show with Australian root, formed for the 2004 Edinburgh Festival, has held two residencies in bricks-and-mortar theatres: The London Hippodrome (October 2008 – June 2009) and a shorter run at the Roundhouse (November 2009 – January 2010). La Soiree, featuring some of the performers from La Clique, pitched their Big Top at the South Bank from October 2010 until February 2011. While not a residency in a permanent structure, it was at least close to Theatreland, next to the National Theatre and the Old Vic and a stone’s throw from the West End. Cirque Du Soleil have mounted shows in the Royal Albert Hall for short tenures on a number of occasions. With a public appetite for circus, certainly in an artistic and contemporary form such as Cirque Du Soleil, and with huge numbers of Londoners and tourists venturing into the West End for live entertainment there is every reason to imagine a major long-term residency could become reality once again. Cirque did consider a permanent London home at the turn of the Millenium. 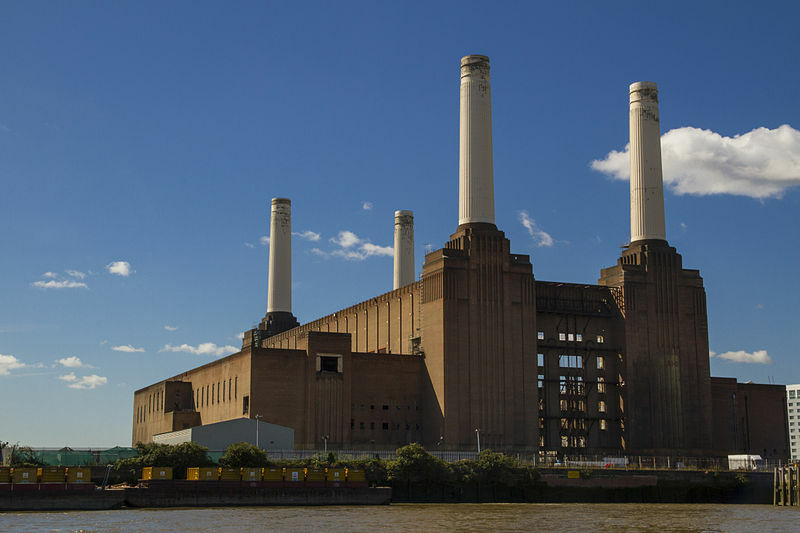 In 1993, Battersea Power Station was acquired by Parkview International for £10m, although completing the purchase of the legal title and new parcels of land took over a decade to complete. By 2000, plans were announced for a ‘Covent Garden in the air’ with hotels, sporting facilities, a ballroom, a village for the film industry, terraces with sunset views, a single round table for two at the top of one of the chimney towers – and a 2,000 seat circus venue for Cirque. Guy Laliberte, Cirque’s founder, commented ‘this building continues to radiate the energy that it used to convert. It is a hugely powerful symbol’. However, English Heritage failed to issue repair notices and were persuaded that the chimneys would need to be knocked down and rebuilt, which fatally damaged the project. In 2006, Parkview International sold the site to Real Estate Opportunities and the plans were shelved. If not Battersea, then where? In 2011, the Independent reported that Guy Laliberte was considering a permanent residency at the 02. “We are working hard to find a place in London. Eventually, we will be at the right place at the right moment with the right real-estate developer. We have looked at the O2. It has been part of the discussion.” David Campbell, the chief executive of AEG Europe, which owns the O2, confirmed the talks: “We have looked at it and it’s just a question of getting the right business model. It’s not imminent but it’s not been dismissed.” Following the relative commercial failures at the Kodak Theatre in LA and Radio City Music Hall, the 20,000 main 02 Arena would surely be far too large to fill. However, the 2,920 person capacity of the smaller Indig02 might be the answer? 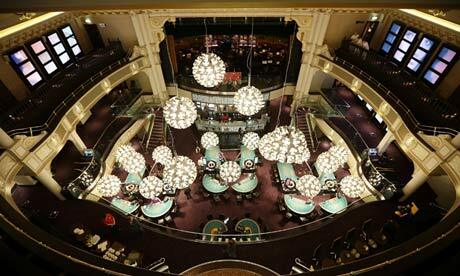 The Hippodrome, despite La Clique’s visit in 2008-9, is now a casino. But as it has changed owner and use many times over the last 100 years, perhaps it could revert to its first incarnation. It is not easy to imagine where else would be appropriate without substantial building work. La Clique’s season at the Roundhouse in instructive, but its Camden location is too far from the West End to be considered mainstream and has become a popular venue for live music. The Royal Albert Hall has hosted touring Cirque Du Soleil productions, but its popularity as a concert venue and the three-month-long Proms season would appear to preclude any permanent circus being able to negotiate the necessary arrangements. Its huge seating capacity of over 5,000 seats – although fewer if the main floor was used as a circus ring – would be excessive. Perhaps the New London theatre – if the public ever tire of Warhorse. The theatre is highly adaptable and capable of staging productions in semi-round format – it was, after all, the home of Cats, with its moveable audience seating, for over 20 years. But with multimillion dollar investments for the purpose-built arenas in Las Vegas, perhaps a conversion of a current venue or a new build entirely is not completely out of the question. Only time will tell, but I would not bet against it. This entry was posted in Circus and tagged 02, Broadway, Broadway shows, circus, circus acts, Circus Circus, cirque du soleil, frank matcham, hengler, Hippodrome, Ka, Laliberte, las vegas, london, London Hippodrome, Mystere, Radio City Music Hall, roundhouse, vegas, West End, Zumanity by showbusinessinsights. Bookmark the permalink. thanks so much for taking the time to comment. I hope your friend enjoys the article and I look forward to hearing his insights! Feel free to follow this blog on twitter (@showbizinsights) or like on Facebook (showbusinessinsights). Fantastic article! Do you have a link to Felicity Hall’s ACE report? http://www.artscouncil.org.uk/publication_archive/strategy-and-report-on-circus/ here you go, KK. Thanks! Who wrote the article? Do I know you? I dont think you know me. I’m just a blogger. Not from the industry. But now you know me! It’s impressive to see someone give so much depth and background to a circus article, you should do more! Thanks – i will. We need to push circus more. Articles on Wicked get exponentially more hits, but that could change!